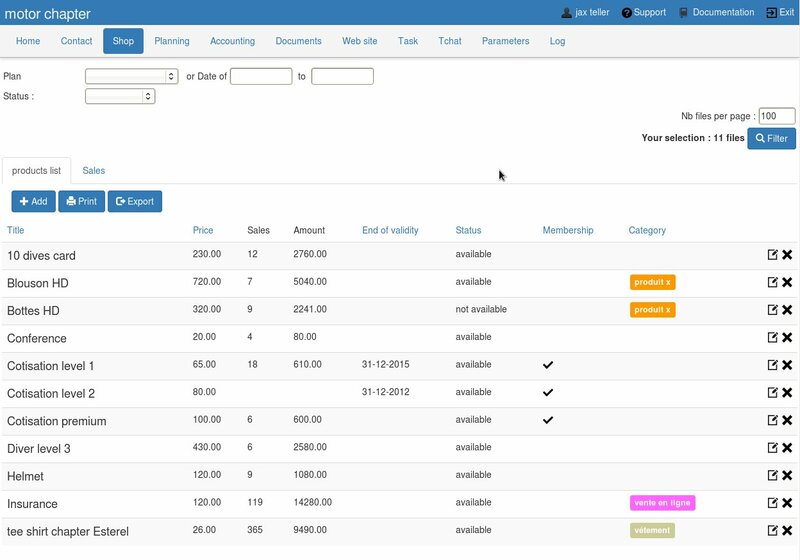 With Kananas software, you can define your products catalog and also realize tracking sales. You can create all types of products : T-shirt, meals , training etc … Note that your association membership is also seen as a product. The tab “sale” gives you a summary of sales . In these two tabs, you can also use filters to help you find the information you seek. To get more information on sales, click on the right link or use the search field.